By helping students check over their work, calculators continue to be a vital asset to any classroom. Kaplan offers intermediate calculators, calculators with activity books, calculators with large LCD screens, and fraction calculators, to complete any of your classroom needs. Grades K - 6. 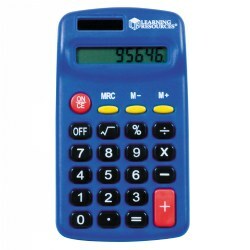 This calculator is both solar and battery powered (includes 1 AA battery). Students can start with basic math operations and work their way up to more advanced concepts such as percents and square roots. 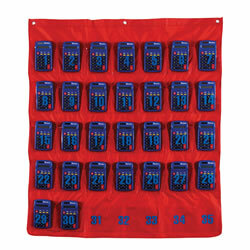 Perfect for independent math practice. 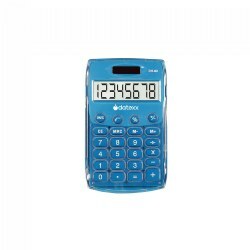 Four functions includes: Three key memory, auto shut-off, 8-digit display and measures 2 1/2"x 4 1/2". Select quantity.